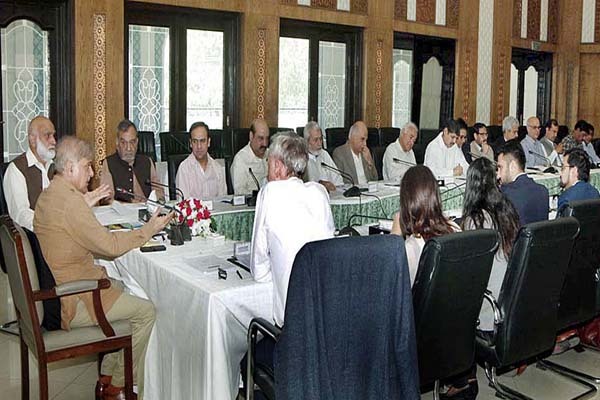 LAHORE, June 4 (APP): Punjab Chief Minister Muhammad Shehbaz Sharif on Sunday said like the Punjab Clean Cities Roadmap Programme (PCCRP), the provincial government had devised a plan to clean rural areas. A sum of Rs 15 billion had been allocated in the budget to clean rural areas, he said presiding over a high level meeting to review implementation of the PCCRP. The chief minister said the PCCRP, which was being implemented in Lahore, Multan, Faisalabad, Gujranwala, Bahawalpur, Rawalpindi and Sialkot through solid waste management companies, had improved the situation of sanitation in the cities, however, a lot more had yet to be done. He chided the authorities concerned over delay in the process of outsourcing solid waste management companies and generating energy from waste. He said nothing had been done to get energy from garbage. The provincial government had set up 6000 MW power plants but non-installation of a 15 MW waste-to-energy plant was deplorable, he added. He said mayors would have to contribute to make their cities clean as they were chosen by the people and it was their responsibility to provide basic services to the public. The chief minister directed to hire managing directors of solid waste management companies from private sector because it was a fact that only an expert head could help make cities clean and only capable human resource could bring craved outcomes from institutions. The chief minister directed to hold a road show in Beijing for extending the scope of Lahore Solid Waste Management Company to other three districts. He sais it was important to develop landfill sites for which suitable locations be identified in villages. Shehbaz saud instead of making claims, organizations would now have to deliver practically. “Diligent work builds nations and examples of Germany and Japan are before us as Allah helps those who have good faith. Just diligent work and assurance are critical to achievement so we need to buckle down with good faith and determination,” he added. Lahore, Faisalabad, Gujranwala, Multan, Rawalpindi and Bahawalpur attended the meeting.